It has been devastatingly a long time since I’ve posted on the blog.. 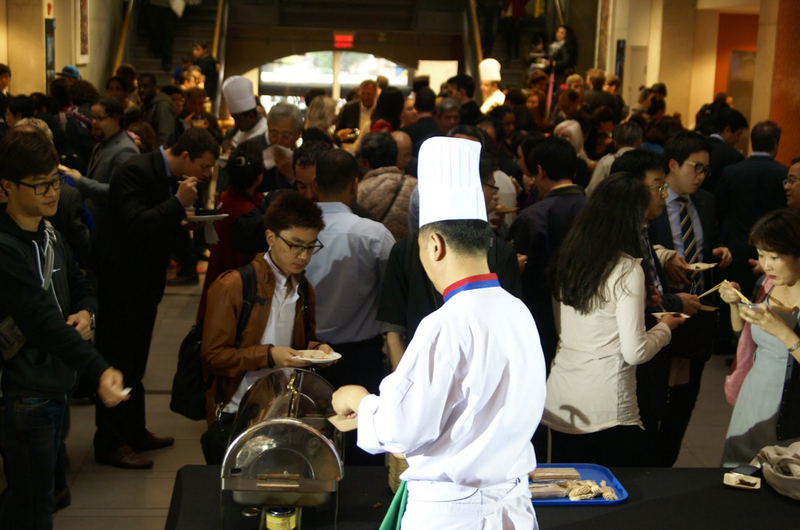 This time I’ll be writing about my experience at the event, ‘Rendezvous Korean Cuisine 2013 – Grill and Noodle Journey’ that was held last Friday at the George Brown College! 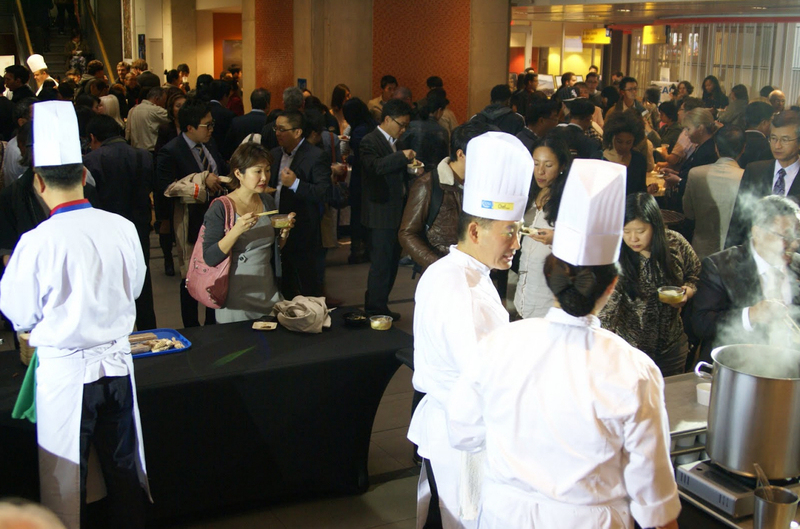 This event was sponsored and hosted by the Consulate General of Republic of Korea and George Brown College hospitality and Culinary Arts, with one guest chefs from Korea and two other chefs from here in Toronto. 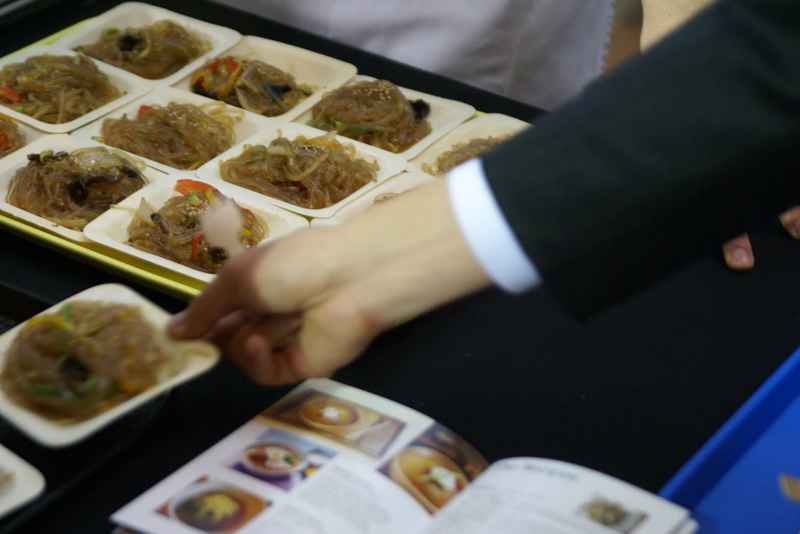 A chance to eat high-quality Korean food for free? There was no way I was missing out on this opportunity!! 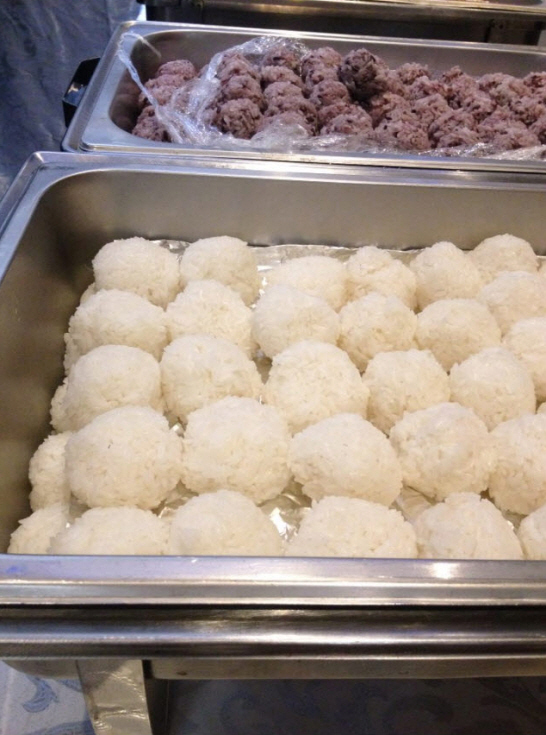 I will start by introducing the dishes that were offered. 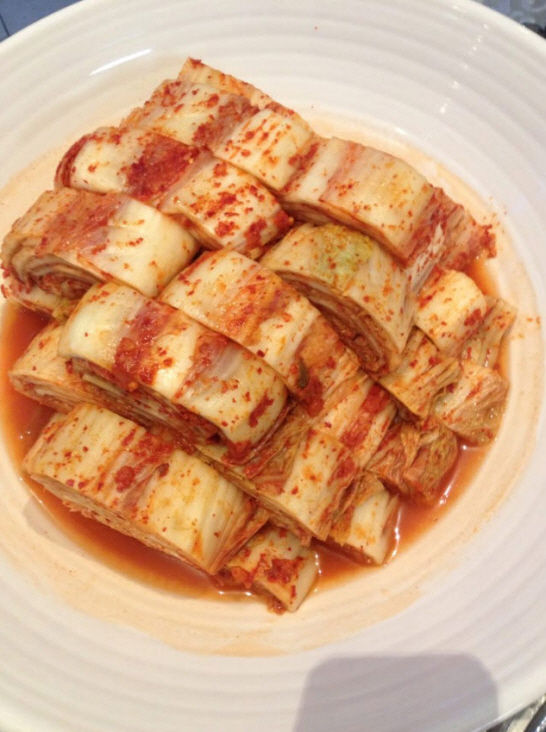 kimchi, red cabbage kimchi and ‘mul kimchi’ which means literall, water kimchi, and they are, if I may explain as such, white pickled cabbage kimchi. 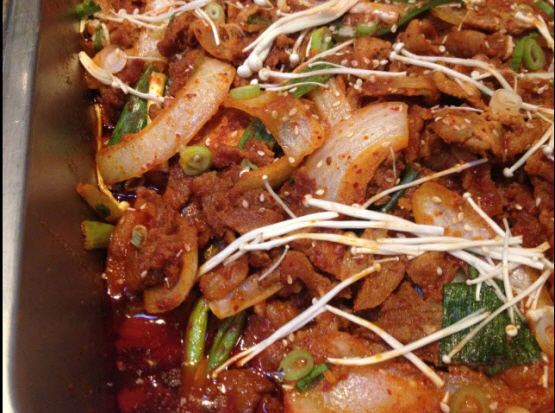 Mul kimchi is perfect for people who find the regular kimchi too spicy. 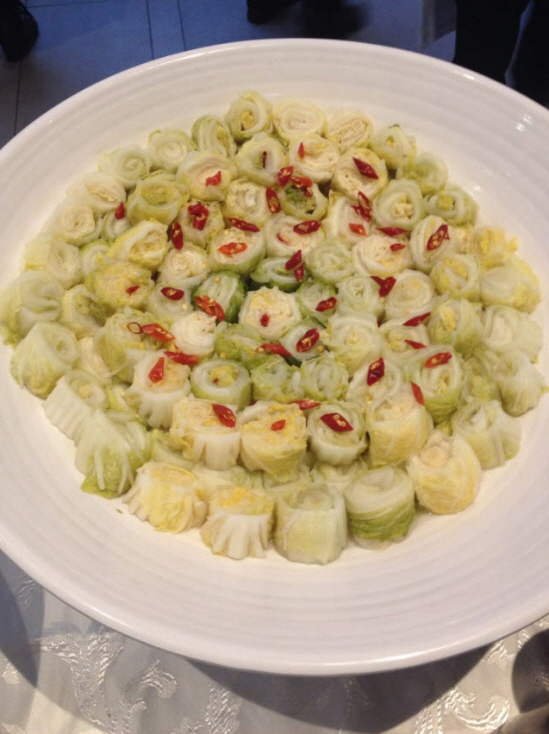 They tend to taste similar but dongchimi is made with white radish, and not spicy, whereas mul kimchi with cabbage, not as spicy as red cabbage kimchi but still a little spicier than dongchimi. 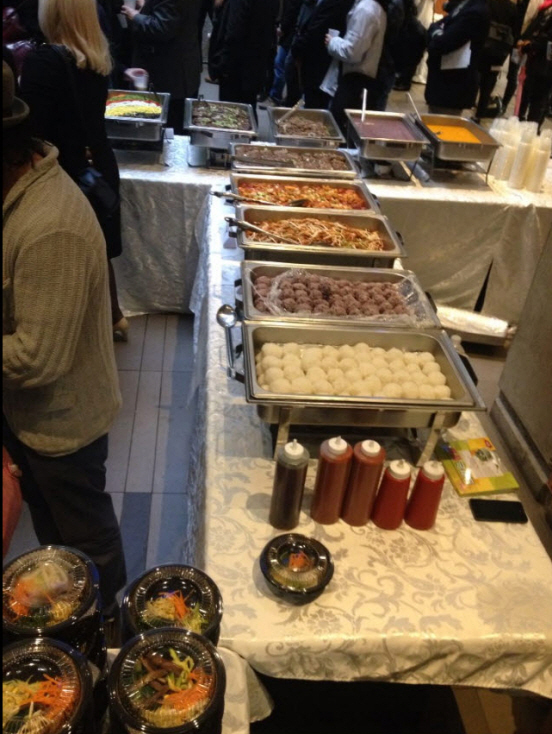 There were three sections of food distribution, where two sides had rows of same dishes and in the middle in front of the stage, Japchae, Bulgogi, Galbi and Janchi Guksu were distributed by a Chef Duk-Sang Chun who is the Head Chef at Lottel hotel in Korea; Heung Soon Im, the Executive Chef for Rendezvou Korean Cuisine; and Jiyeon Hong, the Resident Chef in the Korean Consul General’s residence. 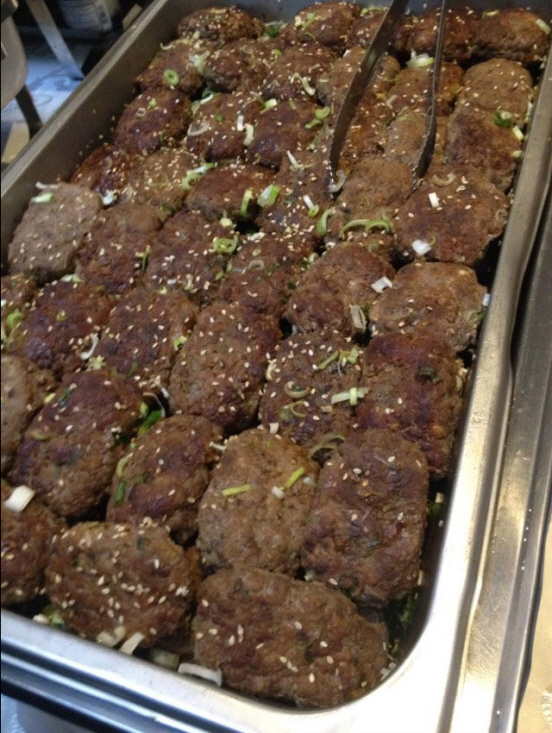 I absolutely loved the Kalbi they served in the middle section! 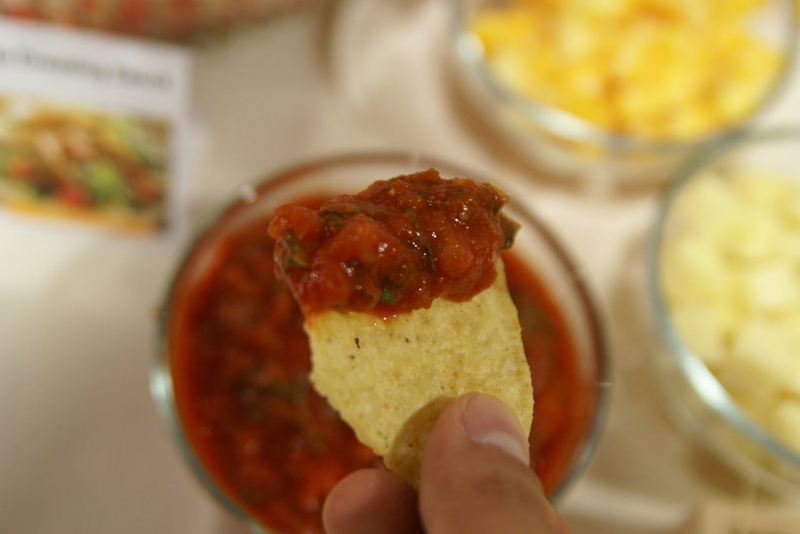 They could have been a bit warmer but still had amazing flavor and texture. 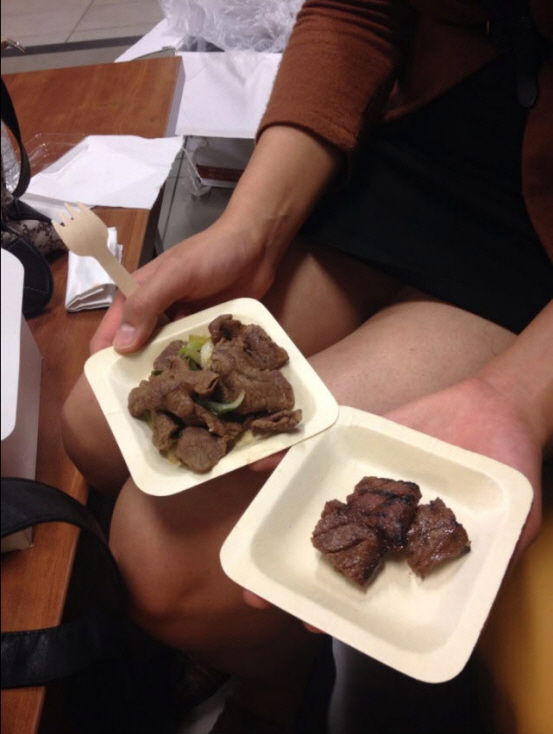 In the two other sections on the sides of the hall, the volunteers from Consulate General distributed Bulgogi, Grilled Galbi, Jap Chae, Naeng-myeon, Janchi Guksu, Bibimbab, Teok Galbi, Dweji Bokkemm, butternut squash soup, sweet redbean soup, and many more! 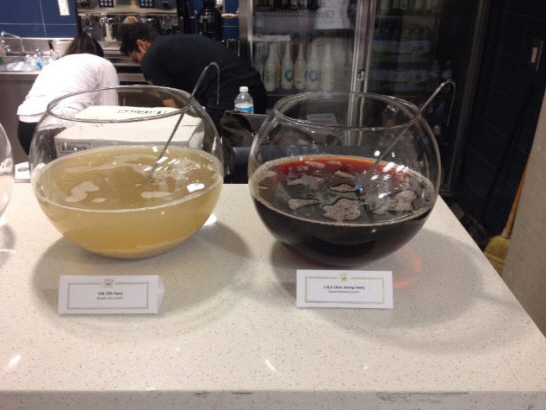 Beyond the middle section, there was a tasting station for drinks – liquors and dessert drinks. 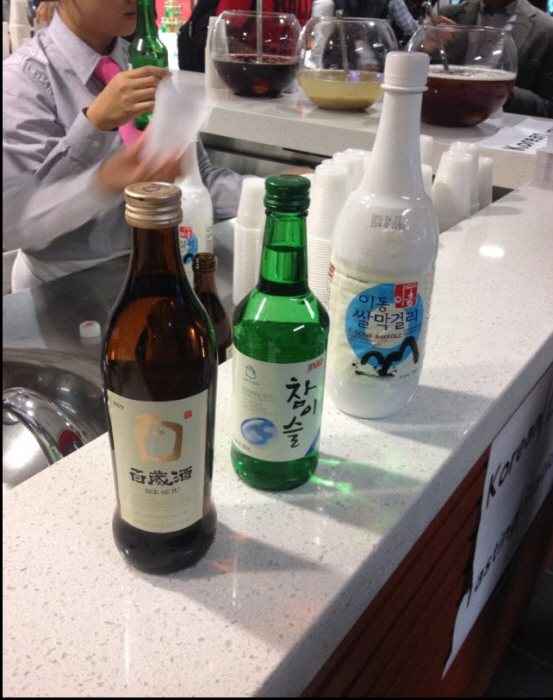 For liquors, they served Makgeorli, Soju and Baek saeju. I have never tried Baek saeju before, so I gave it a try here. 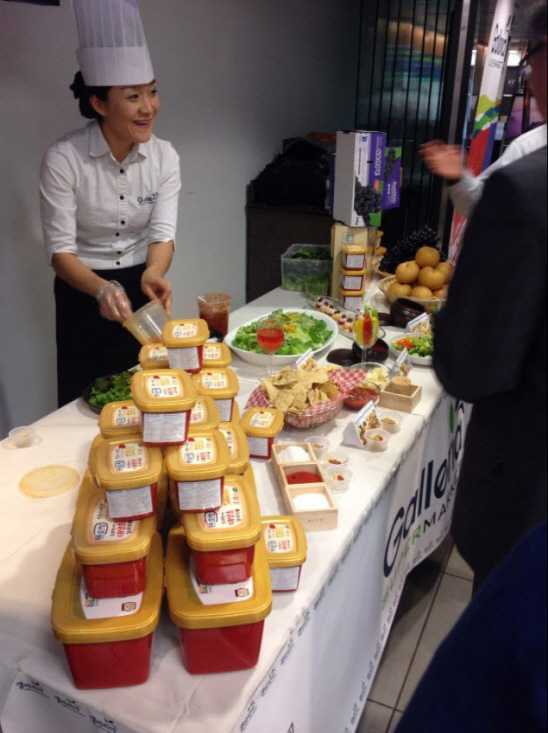 It was very sweet and had strong taste of ginger and ginseng. I feel that many female drinkers and older generations would find it much easier to drink, compared to soju. 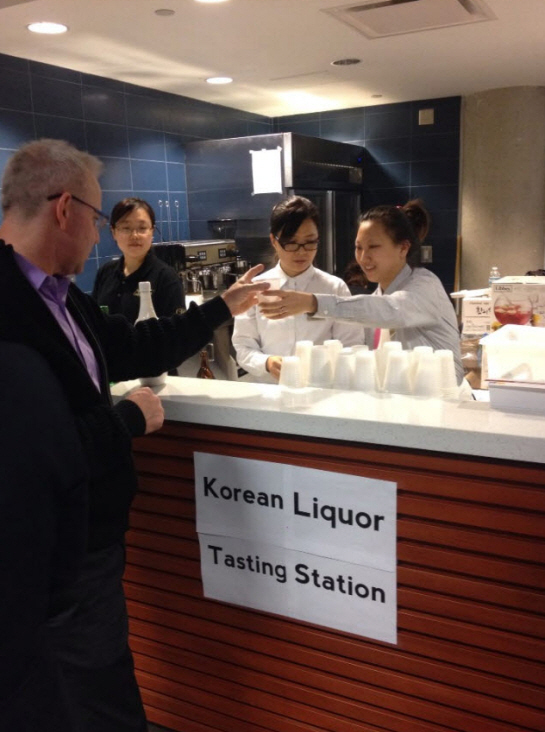 Beside the liquors, they had Sik Hye and Sujeonggwa, which are Korean traditional dessert drinks. 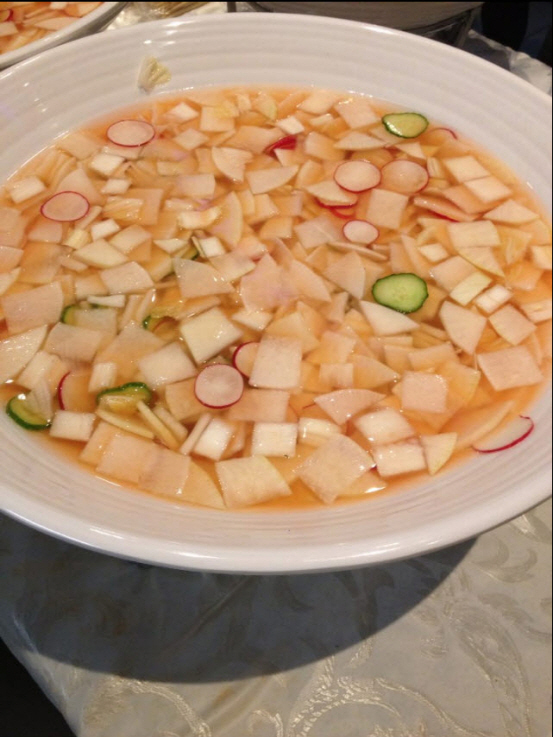 Sik Hye is a sweet rice drink and Sujeonggwa, a cinnamon punch. 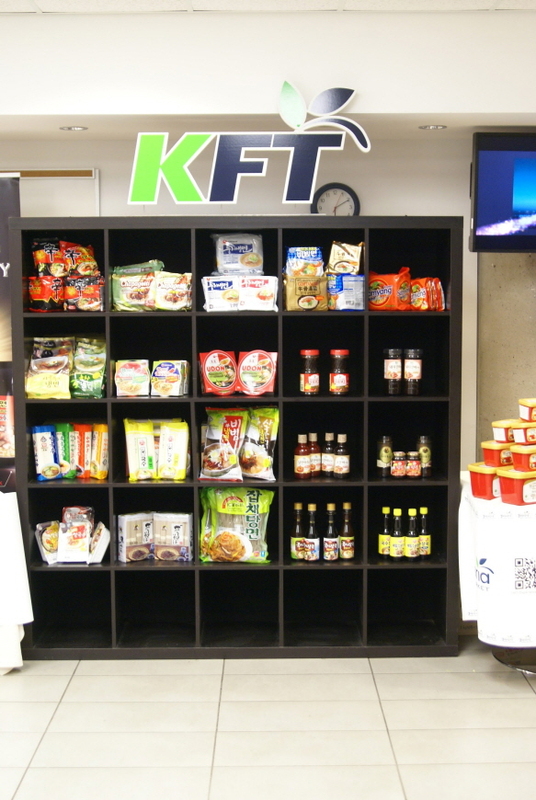 Beside this station, a handful of Korean stores such as Galleria, H-mart and Jung Gwan Jang (Korean red ginseng corp.) had tasting stations or had some of their products on display. 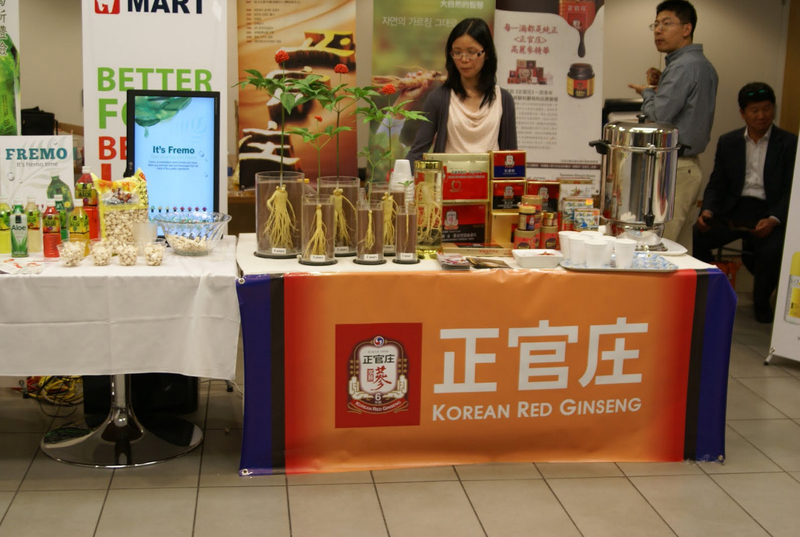 I felt that this event, overall, was extremely well organized, and gave a fantastic introduction of Korean traditional food and drinks for those who may not be so familiar. 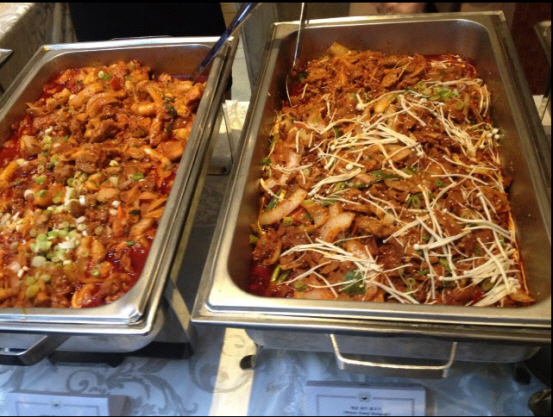 I’ll come back with my own introduction to some of my other favourite Korean foods next time.